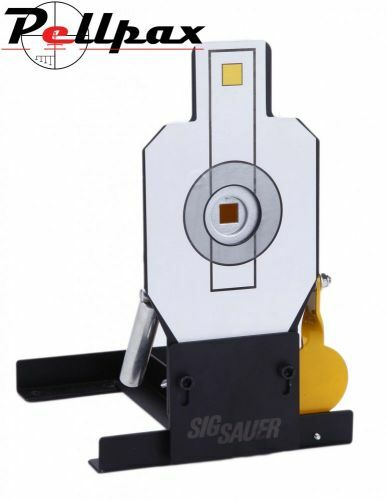 This knockdown target from Sig Sauer is of great quality, with the frame being made from heavy duty steel which is powder coated to give a great appearance and durability. The target has three different sized apertures to vary the shooting skill required, and once it has been knocked down, a secondary yellow disc is exposed which then has to be shot to reset the target. The flat base means that it is stable, and can be positioned almost anywhere as to not restrict your shooting experience. Ideal for both rifles and pistols. Add this item to your basket & spend an extra £458.01 to apply for finance.